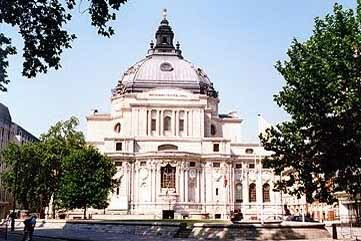 Central Hall Westminster has increased turnover by 20% in the year ending 31 August 2012. Revenue grew from £4.4m to £5.3m over the 12 month period, despite the venue not hosting any large-scale Olympics-related events in 2012. Among events helping to boost turnover was European technology conference Le Web, featuring Google’s executive chairman Eric Schmidt and You Tube chief executive Chad Hurley. Held on 19 and 20 June, the event is traditionally held in Paris and hosts around 3,500 delegates. Central Hall Westminster also hosted the Laureus World Sports Awards on 6 February. The venue’s managing director Paul Southern said he was pleased with the financial results for the year. "This outstanding result was achieved despite Central Hall Westminster not hosting any of the large scale events surrounding the 2012 Olympics," he explained. "I am very proud of the way the team has adapted to the very tough market conditions."